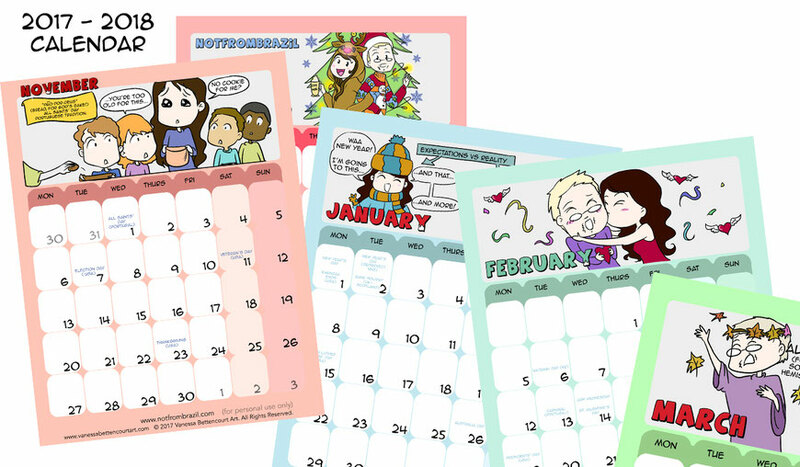 NotFromBrazil FREE calendar for subscribers. Today October 13th 2017 I sent with my newsletter the November 2017 Calendar page free to download and print. I will be gifting a page each every month until December 2018. For those who you subscribed after the October 13th and until October 31st. I will send the November Calendar directly to your email.